I would love to try thirsties!! 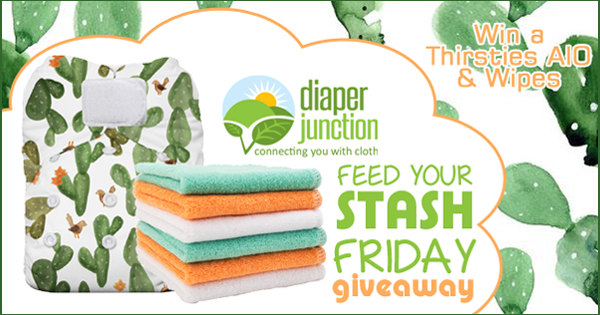 I will be a new cloth diaper and mama and would love to try the thirsties cloth diapers to see if this is the brand that I will want to use for cloth diapering my baby that is due in just 27 more days!!!! I have just placed an order...& bought one diaper cover from Thirsties, i cannotnwait to try them & to buy more of their products!!!!!!!! I would love to try the thirsties diaper! I am 8 weeks pregnant with my miracle baby that took me 2 years to conceive. I used the bum genius freetimes with my daughter but they are pretty worn out since she didn't potty train until 3 so I need a new stash and would love to give these a try! Loved your Earth Day sale. Hope to be as environment friendly as I planned to be. If I wouldn't have cloth diapered, I wouldn't have known stores like this existed. I hope more people stop using disposable and start using cloth.